The Radio and Television Supreme Council (RTÜK) imposed a monetary fine of TL 286,160 (approx. € 143,000) to the Turkish news channel CNN Türk because of the program "What's going on" ('Ne Oluyor'). The program touched upon topics regarding the Kurdish question such as democratic autonomy, calls for a ceasefire and education in the mother tongue. The ideas conveyed in the broadcast on 10 August were seen as a breach of the broadcasting standards as defined in Article 4 of Law No. 3984 on the Establishment of Radio and Television Enterprises and Their Broadcasts, namely as a violation of the "compliance with the supremacy of the law". The decision, taken by RTÜK on 10 October, was communicated to the public just recently. Council member Taha Yücel opposed the ruling. He reminded the fact that people with different ideas expressed their thoughts, "Even if the statements on subject would be disturbing, they should be evaluated within the scope of freedom of expression. Moreover, the guests of the program controversially discussed the diverse opinions expressed by the participants. Assessing the program as a whole, there is no reason for punishment", Yücel stated. The sanction was based on the statements of Osman Özçelik, deputy of the pro-Kurdish Peace and Democracy Party (BDP). Özçelik had said in the program, "The members of a war with low intensity are called guerrilla. I do not think that terms like terrorist et cetera are correct. They are wearing uniforms, they belong to a certain hierarchy and they have a logo. With a logo and the uniform they are a guerrilla alliance. They have to be named correctly, no matter if you agree with that or not. This is a political movement [referring to the outlawed Kurdistan Workers Party PKK]. It is a political party, a political party with military force. The name is the Kurdistan Workers Party and it is a political movement." It is easy for RTUK to fine programming it finds objectionable, and a proposed media law, expected to be passed in the coming year, will make it even easier. The United States Department has issued its annual International Religious Freedom Report. For DRL's report on Turkey, click here. Though many accusations might be leveled at the United States for not taking a consistent position on democracy and human rights issues, a difficult task for any country, the State Department's reports on human rights and religious freedom are refreshingly objective. Issued by the State Department's Bureau for Democracy, Human Rights, and Labor, the reports are issued independent of the State Department's other policy making arms. For a bit on how, why, and the history behind these reports, click here. When Bayram Altun, deputy head of the shuttered pro-Kurdish Democratic Society Party, or DTP, began to read a defense statement in Kurdish, the head judge had his microphone turned off. “The defendant is making his defense in an unknown language,” he reportedly said. 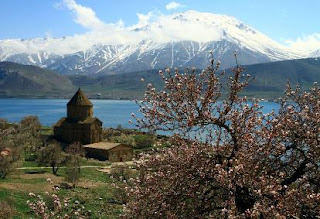 Following this eruption, defendant Ramazan Morkoç also reportedly addressed the court in Kurdish, and then in Turkish. “You cannot insult the language of a people,” he said. The head judge moved to expel Morkoç from the courtroom, sparking protests from the other defendants who asked to be expelled from courtroom collectively. When the judge decided to remove all the defendants from the courtroom the defense lawyers objected. Lawyer Tahir Elçi said the suspects’ request to defend themselves in Kurdish is not a political request but a legal request. 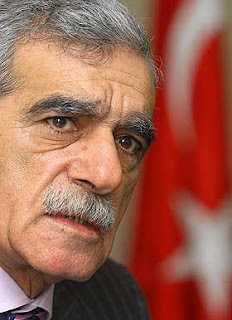 Elçi said calling Kurdish an “unknown language” would have heavy political consequences. See Oct. 21 post. This will only get bigger . . .
Turkey’s Kurdish citizens have frequently protested publicly to express frustrations with the government’s policies towards their culture, status, and rights, and, in recent years, the imprisonment of Abdullah Öcalan, the PKK leader. For instance, on July 14, 2008, and from October 18 to 21, 2008, protests were held in various cities in Turkey against Öcalan’s prison conditions and alleged ill-treatment. Protests are also held every year on February 15, the day in 1999 that Turkish authorities captured Öcalan in Kenya and brought him to Turkey. The festival of Newroz/Nevruz (Kurdish and Turkish spellings in common usage in Turkey), the Kurdish New Year, on March 21, often elicits demonstrations as well as cultural celebrations. Protests took place prior to Turkey’s March 29, 2009 municipal elections. There are also fairly frequent localized protests in cities throughout southeast Turkey and in mainly Kurdish-populated districts of cities such as Adana. These typically involve groups of youths and children, who shout pro-Öcalan and PKK slogans, burn tires in the street, and respond to police orders to disperse by throwing stones. In the past, courts in Turkey convicted these protestors under laws governing public order or of “making propaganda for a terrorist organization” (Article 7/2, Anti-Terror Law). Yet in recent years, criminal justice officials have deemed Kurdish protestors demonstrating against Turkey’s policies towards the Kurds to be “committing crimes on behalf of the PKK without being a member of that organization” (Article 220/6, Turkish Penal Code). As a result, they are prosecuted as if they were actually fighting the government as armed “members” of the PKK (Article 314/2, Turkish Penal Code). These serious charges, on top of more usual charges under the Law on Demonstrations and Public Assemblies, could result in sentences of 28 years in prison, or more, if there are repeated offenses. To date, the majority of adults convicted under these laws have received prison terms of between seven and 15 years. Prior to a July 2010 legal amendment, child protestors typically received prison sentences of between four and five years, though in 2010, at least several children were sentenced to seven-and-a-half years in prison. Law enforcement authorities and the courts allege that the PKK and its representatives are organizing the demonstrations as part of a wider policy to promote civil unrest, and even uprising, among Kurds in towns and cities throughout Turkey. By way of evidence the government and courts point to the PKK’s decrees issued at various congresses, and the fact that senior PKK representatives use sympathetic media outlets to issue “appeals” to the Kurdish population to take to the streets in protest. Hence, the template for individual indictments includes an abstract overview of PKK history and policies, followed by a statement of the alleged specific criminal activities of the defendant. In none of the cases examined by Human Rights Watch had prosecutors submitted evidence to establish that the individual defendant either heard the PKK’s “appeal” or had been directly instructed or motivated by the PKK to participate in the demonstration, much less that the individual had any other specific link with the PKK or committed a crime under its orders. The Turkish courts consider it no obstacle to conviction that the prosecution has failed to provide evidence of the defendant’s specific intent to support or aid the illegal activities of the PKK. The General Penal Board of the Court of Cassation has held that it is sufficient to show that sympathetic media outlets broadcast the PKK’s “appeals”—speeches by the PKK leadership calling on the Kurdish population to protest or raise their voices on various issues. 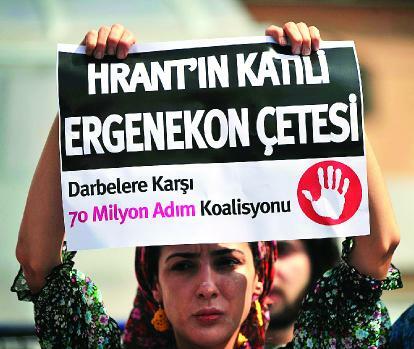 Then the defendant, by joining the demonstration, is assumed to have acted directly under PKK orders. Yet even at extremely local demonstrations not announced in the media beforehand, protestors are routinely charged with acting under the orders of the PKK. In some cases, courts have held that the PKK’s “appeal” to participate in demonstrations is a continuous generic one, and therefore a specific instance of appeal to the population need not be proved. This legal framework makes no distinction between an armed PKK combatant and a civilian demonstrator. In fact, demonstrators may be punished more harshly, because while combatants who turn themselves in may receive partial amnesty under the “Effective Repentance” provision in the Turkish Penal Code, there is no such provision to reduce the sentences of peaceful demonstrators who have never taken up arms. As a result, peaceful demonstrators with no clear PKK affiliation may be punished more harshly than PKK members who have actually served as guerrilla fighters. Useful is the report's elaboration of how Turkish courts apply the Anti-Terrorism Law in conjunction with Article 314 of the Turkish Penal Code in order to secure protestors prison sentences that are certainly in disproportion to the offense, especially when it can be argued that the offenders are peaceably demonstrating. In one case, an illiterate mother of six was sentenced to seven years in prison for holding a sign with a message that read "the road to peace lies through Ocalan." The rift in the Felicity Party (Saadet Partisi -- SP) (see July 13 post) grew deeper this week after Necemettin Erbakan, the party's honorary leader and a veteran figure in Turkish Islamist politics, failed after attempting to challenge the results of the July congress. 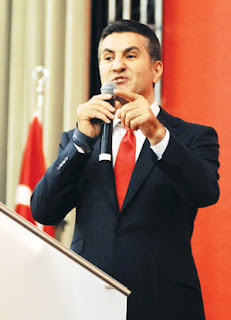 During the congress, SP leader Numan Kurtulmus succeeded in blocking the nomination of Erbakan favorites (many of them relatives) to the party's central executive board. Erbakan has renounced speculations that he is planning to form a new party, and the challenge further raised tensions in the SP, the Islamic right challenger to the AKP. Some analysts have speculated that the AKP's strong position on Israel and links to groups like the IHH, the Islamic charity behind the Gaza flotilla affair, were an attempt to out-do the SP's efforts to get votes among Islamist voters by playing the populist card on Israel. For more on this point, see my recent piece in The Jerusalem Post. Where is the BDP -- A New Initative or More Combative Politics? Last week Prime Minister Erdogan made his strongest statement yet against the the Kurdish Peace and Democracy Party (BDP), accusing the party of supporting the PKK: "Saying peace won’t bring peace. Those who are in direct or indirect contact with the PKK are accomplices to murder." Erdogan's remarks draw a strong response from BDP leader Selahattin Demirtas, who accuses the prime minister for essentially calling for the closing of the BDP. At the same time, in the face of heightening violence and statements from some BDP officials warning of even more violence should the government give into PKK demands and negotiate (see Emine Ayna's remarks early this month), the BDP might well find itself in an even more difficult position to forge a credible place for itself in the Turkish political scene. Though it can be argued that the BDP gaining an amount of credibility sufficient enough to be effective outside of strong Kurdish nationalist circles is but a pipe dream, there is little doubt that the party is playing with fire. Though the AKP made little effort to support the BDP's predecessor, the Democracy and Society Party (DTP), in its over two-year closure ordeal, during which time the AKP also faced closure, gaining the wrath of the AKP and other Turkish opposition parties might well alienate the Kurdish nationalist party in the eyes of softer nationalists and more moderate Kurdish forces within the Turkish political scene. Just as importantly, such rhetoric and continued refusal to deal sensitively with PKK violence also risks the party losing European support. In parliamentary debate following yesterday's bombing, BDP Co-Chair Gultan Kisanak argued that the government's Kurdish initiative led to the recent escalation, agreeing with MHP leaders in so doing.While the government did fail to take very concrete steps in moving forward with the initiative it proposed last summer and has done little since to elaborate on the details, to make such statements without acknowledging that the move was significant and praiseworthy, at least in its rhetoric, risks further alienation of the BDP, especially in the midst of rising PKK violence. Yet, other voices in the BDP have staked out less aggressive positions. As the struggles within the BDP over whether to endorse the government's constitutional package reveal, the party is not without out its divisions, some monolith controlled by the PKK/KCK. Ufak Uras, along with other moderate actors, is organizing a workshop in Istanbul this weekened that would bring together Turkish and Kurdish political actors to discuss new solutions to the conflict outside the framework of violence in which the conflict is descending. Uras, who joined the BDP after DTP's closure and the expulsion of its former leaders Ahmet Turk and Aysel Tugluk so that the party could form a group in parliament, has publicly said that the PKK should lay down its arms (a position the former independent deputy maintained). Speaking to the Daily News about the possible role of such an initiative, former Diyarbakır Bar Association Chairman and lawyer Sezgin Tanrıkulu said it was wrong to only blame the current and former governments for the escalating violence. According to Tanrıkulu, the violent and military methods used in the past kept Kurdish politicians from getting involved. “Kurdish politicians need to pressure both the organization [the PKK] and the Turkish government to stop using methods involving weapons,” he said. Şah İsmail Bedirhanoğlu, chairman of the Southeastern Anatolia Businessmen’s Association, or GÜNSİAD, said that Türk is an important figure, and that the initiative’s success depends on who is involved. “Türk is an important politician with good sense who uses the language of peace. I think Türk’s personality and his possible step will also be considered important by the government, the military and the PKK,” Bedirhanoğlu said. “I hope such a move will be successful. We support this initiative. Also on the BDP front . . . The deputy chair of the pro-Kurdish Peace and Democracy Party (BDP), Bengi Yıldız, called on civilians to make use of their right to conscientious objection and to refuse military service. Yıldız made a press release in the course of a demonstration in Batman (south-east) on Sunday (20 June). Though the demonstration was hindered by the police, Yıldız said, "There is no need to declare martial law and a state of emergency. We are right in the middle of martial law just now because our country entered a state of serious violence and war". Discouraging military service is a crime under Turkey's Penal Code, and will likely result in Yildiz' prosecution. Responding to yesterday's attack on a military convoy in Istanbul's Halkali district, MHP leader Devlet Bahceli has called to designate the predominantly Kurdish southeast an emergency rule region (OHAL), a move that would essentially ring martial law to the region. Bahceli's proposal is unlikely to garner much support, though it does speak to the level of animosity and polarization that has emerged in the wake of increased PKK violence. Bahceli issued the call during his party's parliamentary group meeting yesterday just a few hours after leading his party in boycotting a vote on a long-coming measure to amend the Anti-Terrorism Law so that Kurdish childred aged 15-18 will no longer be tried as adults. At Monday's security summit, no mention was made to OHAL, and Chief of General Staff Ilker Basbug firmly rejected the possibility of imposing OHAL in a speech he gave Monday -- less than 24 hours before yesterday's bombing. However, with the National Security Council (MGK) set to meet tomorrow to discuss the security situation in the region, top government and military officials are now saying all options are on the table. Parts of the southeast were first placed under martial law (provided for by the 1982 non-civilian Turkish constitution) in 1987, which did not disappear from the region until 2002. Much of the day-to-day violence during what some have coined the "dirty war" in the southeast occurred in conjunction with security measures taken under the auspices of OHAL, and the isolation of the region from the rest of Turkey under OHAL's unique governerning/security schemes is largely attributed to worsening the region's alienation from the rest of Turkey and contributing to a sense of victimization. In line with the results of Monday’s state summit, the system of intelligence gathering and how this information is coordinated among security institutions will also be reviewed at the MGK meeting. Hakan Fidan, the new head of the National Intelligence Organization, or MİT, will brief the council about these efforts. In the operational dimension, the MGK will review the results of recent cross-border operations into northern Iraq, where the training camps of the outlawed Kurdistan Workers’ Party, or PKK, are located. The military plans to carry out more cross-border operations as needed. The council will also discuss potential measures to stop the further spread of terrorist activities to urban and tourist areas ahead of the beginning of the tourism season. Discussions at Thursday’s MGK meeting will also address the foreign connections of the PKK and will likely focus on Massoud Barzani, the head of the Regional Kurdish Administration in northern Iraq, who some have accused of doing too little to contain the outlawed group. During his landmark visit to Turley in early June, Barzani refrained from acknowledging the PKK as a terrorist organization but pledged his full support to Turkish officials in their fight against terror. Though Barzani issued a condemnation of Saturday’s deadly attack, some Turkish officials are still far from being satisfied with his level of support. Turkish officials are also planning to hold more meetings with the United States to review the countries’ current cooperation on intelligence sharing. Prime Minister Recep Tayyip Erdoğan’s meeting next week with President Barack Obama is expected to focus on the joint fight against terrorism. In its meeting, the MGK will likely emphasize the need for societal unity in the fight against terror and call for the participation of all political parties, nongovernmental organizations and the media. In other news, police have detained 27 suspects thought to be involved in yesterday's bombing. UPDATE I (6/27) -- For some thoughts from security experts and civil society/opinion leaders on imposing OHAL, see this short news feature from Today's Zaman. An attack on a military bus in Istanbul's Halkali district killed four Turkish soldiers and the daughter of another. Eleven others were wounded. The Kurdistan Freedom Falcons (TAK) have claimed responsibility for the bombing. The same group was responsible for a series of bombing on tourist resorts in Marmaris in 2006. Its exact relationship with the PKK is unknown, though Turkish security forces maintain it merely operates as a front for the PKK, committing the more atrocious and alarming attacks for which the PKK does not want to claim credit. For more on TAK, click see Aug. 25, 2008 post following speculation that the group was responsible for the 2008 bombing in Istanbul's Gungoren district. The TAK statement said the group bombed the military bus because Turkey is “planning a massacre of the Kurdish people” and has adopted “a concept of aggression” against convicted PKK leader Abdullah Öcalan. 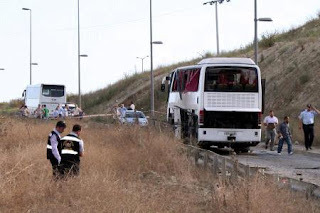 The shuttle bus was the last in a three-vehicle convoy carrying military personnel who live in lodgings in Halkalı. The blast caused damage to the first two vehicles as well. Chief of General Staff Gen. İlker Başbuğ came to the scene of the attack after visiting the wounded soldiers in the hospital. The top general also met Gen. Hasan Iğsız, commander of the First Army, at the airport upon his arrival in Istanbul. An eyewitness told broadcaster NTV that he heard a blast while he was in his house and rushed out to the street. “I saw a man running away after the blast. I also saw a man carrying a wounded girl and helped him,” the eyewitness said. Buse Sarıyağ, 17, the youngest victim of Tuesday’s attack, is the daughter of soldier Ünal Sarıyağ, who was slightly injured. The teenager had been riding on the bus to attend the military’s private course for preparing high school students for the university entrance exam. Her younger sibling was on the bus as well. Soldiers Bekir Çelik, Çağlar Bölük, Uğur Ekir and Duran Bayram also died in the bomb attack. A PKK attack in Semdinli (Hakkari) killed 11 Turkish soldiers yesterday, the largest death toll to be inflicted in a single attack. Another soldier was killed today in another attack in Palu (Elazig). In the wake of the attacks, some Turkish politicians began calling for new military/security measures, the most reactionary of them arguing for a return to martial law in the southeast. Turkish television is reporting that President Gul has called for a security summit to be held tomorrow. As PKK attacks on Turkish soldiers continue to increase in the southeast (see Kurdish Timeline), the chance of success for the the kind of political solutions and roadmaps for peace discussed last year look increasingly bleak. PKK attacks on Turkish soldiers, mostly conscripts, only augment popular support for military action, making whatever will the government had for finding a political solution weaker and more difficult to put into action. At a funeral service for the soldiers held today , Prime Minister Erdogan strongly denounced the PKK , declaring that PKK fighters will “melt in their own darkness, dry up in their own swamps, drown in their own blood.” Meanwhile, AKP opposition figures held the AKP's initaitives toward the Kurds responsible for escalating the violence. Anger with the PKK also provides an opportunity for Turkish politicians to score points with strong populist-minded rhetorical denunciations of the terrorist group. Such an environment also strengthens the PKK in a political sense, which benefits from a militarization of the conflict since more moderate voices are squeezed out. The PKK wants to engage in dialogue with the government on its own terms (now centered on demands for "regional autonomy"), and though the government is now less likely to do so, the organization can now claim that the moderates have failed and the organization was correct in arguing that the Turkish state is intent "to eliminate" the Kurdish political movement. Saturday's attack prompted additional Turkish military operations into northern Iraq. KRG news sources are reporting that a young girl died in the Turkish bombing. State Minister Egemen Bağış has said he shares the grief of the families of both soldiers and terrorists who died during military clashes with the outlawed Kurdistan Workers’ Party, or PKK. “Unfortunately, eight of our soldiers were martyred today in the morning hours. We have [also] learned that 12 of our youth, who were born and grew up on this land, lost their lives during the shootout. Fire has fallen upon 20 homes, and I share the grief of the 20 families,” Bağış, who is also Turkey’s chief EU negotiator, said Saturday at a meeting at the Van Chamber of Industry and Commerce of Van. The total body count in the weekend attacks by the PKK, listed as a terrorist organization by Turkey, the United States and the European Union, was 20 at the time Bağış spoke. The 112-year-old orphanage, Europe’s biggest remaining wooden building, was built in 1898 as a hotel and casino on the largest of Istanbul’s Princes’ Islands, then purchased by a prominent Greek family that donated it to the patriarchate for use as an orphanage. 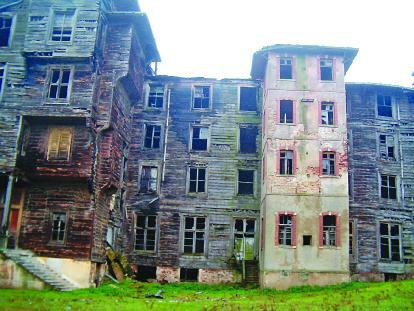 “The orphanage was opened in 1903 by Sultan Abdülhamid and remained so for a long time,” Osman Doğru, a law professor at Marmara University, told the Hürriyet Daily News & Economic Review. “Yet in 1964, it was emptied for security reasons and then left to its destiny.” For almost 30 years, the building simply rotted away. In 1995, Turkey’s General Directorate of Foundations took over ownership – and the court cases began. “The decision to transfer the orphanage building’s ownership to the foundations directorate was based on the claim that the Greek Patriarchate didn’t do any maintenance work on it. 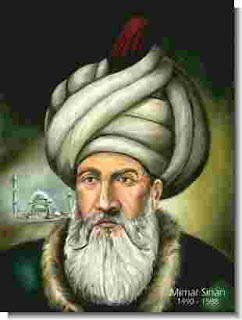 However, it was the Turkish state that didn’t allow any restorations during that period,” said Kezban Hatemi, a lawyer for the patriarchate. According to a 2009 report by the Turkish Economic and Social Studies Foundation, or TESEV, there are approximately 1,000 “immovable properties,” essentially land parcels and buildings, in the country that originally belonged to Greek foundations but were confiscated by the Turkish state. 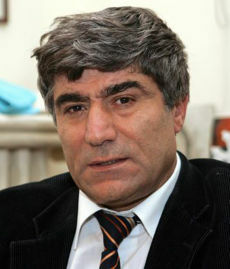 Foundations administered by other minority groups have been affected as well; some 30 properties belonging to Armenian foundations have likewise been seized, an issue that Turkish-Armenian journalist Hrant Dink tried to raise awareness about before his assassination in 2007. According to law professor Doğru, the case of the Büuükada Orphanage was complicated by the fact that the patriarchate claimed the building in 1936, when the government asked minority foundations to report their holdings. “However, the Supreme Court of Appeals found a very creative solution to the issue and said the building was actually claimed by the orphanage foundation, not the patriarchate itself, so they could transfer it to the General Directorate of Foundations,” he said. 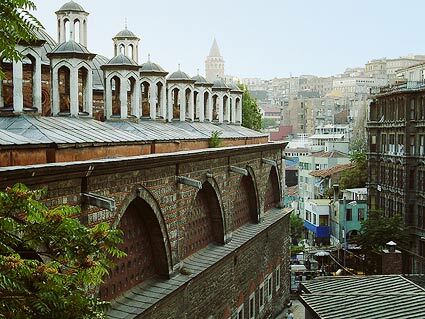 After the building was confiscated in 1995, the Fener Greek Patriarchate applied to have the court decision cancelled. When this application was rejected, the patriarchate took the issue to the European Court of Human Rights. The issue of minority foundations and the property they own is legally complicated and a bit too thorny to adequately get into in a blog post, but the 2009 TESEV report alluded here is an excellent source for further information. The report, "The Story of an Alien(ation): Real Estate Ownership Problems of Non-Muslim Communities and Foundations in Turkey," is authored by Dilek Kurban and Kezban Hatemi. In spring 2008, the Turkish parliament passed major reforms of Turkey's Foundations Law, under which both the Greek and Armenian minorities are governed, though the reforms are largely argued to have not gone far enough in addressing such issues as real estate. For more on how minority foundations are governed in Turkey, see also Today's Zaman columnist Orhan Kemal Cengiz's two-part op/ed series. In the first part, Cengiz lays out the history of minority foundations, while turning his attention in the second part to the 2008 reforms -- which the CHP, in one of its more overtly nationalist overtures, opposed -- and the current climate for further reform. Key suspects were released in two different Ergenekon cases on Friday. In the first, retired Gen. Cetin Dogan, the former commander of the First Army, and 13 other suspects, including one other retired general, were released after having been detained since February. Dogan and company are charged in relation to "Operation Sledgehammer" (see past posts). In the second, Erzincan Chief Prosecutor Ilhan Cihaner, also picked up in Feruary's wave of Ergenekon arrests, was released alongside nine other suspects. Hurriyet Daily News gives an accounting on Cihaner's trial here. See also past posts. In its justification of its release decisions, the court said both the manner of the suspects during the investigation and the fact that the evidence has already been collected – leaving no possibility that it might be destroyed, hidden or changed – were taken into consideration. The court said there is no strong suspicion that the suspects would try to influence witnesses or victims in the case, nor that they would present a flight risk. See also this coverage from Bianet, as well as Hurriyet Daily News' recounting of interviews Cihaner gave to Cumhuriyet and and Milliyet upon his release in which the prosecutor defends his decision not to cooperate with Ergenekon investigator Osman Sanal. The case of conscientious objector Enver Aydemir has become a rallying cry for activists pushing Turkey to recognize a right to conscientious objection from military service. Of the 47 countries in the Council of Europe, Turkey joins Belarus and Azerbaijan as the only three countries that do not recognize conscientious objectors. This week an Ankara court heard the cases of 19 supporters of Aydemir currently on trial under a variety of charges related to a demonstration they held on Jan. 6 in which the group issued a press release. Among the charges were alleged violations of Article 315 of the Turkish Penal Code (TCK), making it illegal to discourage or alienate the public from military service. The charge is often brought against conscientious objector and those who defend them. Two of the 19 charged in Ankara were convicted under the provision. After claiming conscientious objector status in 2007, Aydemir was detained and held for three months in prison as a deserter. After giving a speech in Istanbul this December at the Covention of the Platform of Conscientious Objection for Peace, Aydemir was detained and arrested once more and subject to another three months in a military prison. Following this second detention period, Aydemir was jailed once more when he was taken back to his military unit and refused to wear a uniform. Released from an Eskisehir prison on June 9, the Turkish military issued an "incapability report," stating that Aydemir was unable to serve due to a social personality disorder. In a press release issued in association with the Human Rights Association in Istanbul, Aydemir and his attorneys argued that Turkey's failure to recognize the legal validity of Aydemir's conscientious objector status constituted a violation of international law. Despite the European Union raising the issue with Turkey in accession negotiations, the Copenhagen Criteria does not address the subject and Turkey has not signed relevant international law creating such a right. However, in 2006, in the case of Osman Murat Ulke, the European Court of Human Rights did find that the way Turkey punishes conscientious objectors by basically stripping citizenship rights constutes a violation of the European Convention on Human Rights and Fundamental Freedoms. For other cases of conscientious objector status, including the EU position on the issue, see past posts. Yazıcı, a 36-year-old with two children, said he was aware of the consequences of his action, but was happy to be a part of the conscientious objection movement. Addressing journalists after Yazıcı, Ezgi Aydın, a member of the platform, said the recent military operations in the southeast are making families and the youth worried about their future. It will be interesting to see if increased dangers in the southeast (and other parts of the country), as well as opposition to the state's response to the recent upsurge in PKK violence, make claiming conscientious objector status a more frequent phenomenon and just how the Kurdish conflict might transform the issue, for better or worse.